Our Limited Edition Polished Double Terminated Aura Points are now available and they are out of this world SPECTACULAR! Get yours for 10% off! 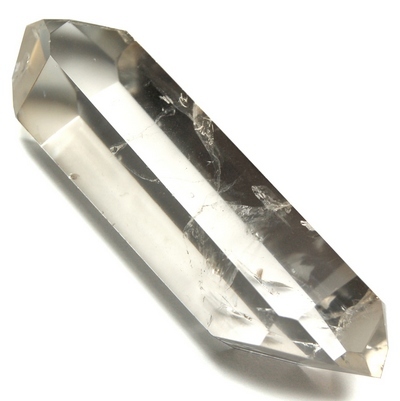 And because we love you, we decided to mark down our Polished DoubleTerminated Clear Quartz Points by 25-60% as well! Double Terminated Crystals absorb, amplify and emit energy from both ends simultaneously and can be used as a bridge between things such as spirit, energy, Chakras, people, places, etc. They can guide you back into the gentle flow of life from stagnation. Champagne Aura Double Terminated Polished Points: Helps to resolve conflict and balance Chakras. Indigo Aura Double Terminated Polished Points: Enhances Chakra and Dream Work. Tangerine Aura Double Terminated Polished Points: Increases Self Worth and Energises the Sacral Chakra. Clear Quartz Double Terminated Polished Points: The Master Healer and the one crystal to rule them all. Clear Quartz can amplify energy or intentions and it can be programmed to use with/for any intention.